These photographic images are just as full of life as your company! Enjoy the changing seasonal imagery across these picturesque American landscapes. The back is printed with an important contact chart and at-a-glance calendars for the current year and the following year. Constructed from durable gloss paper stock. 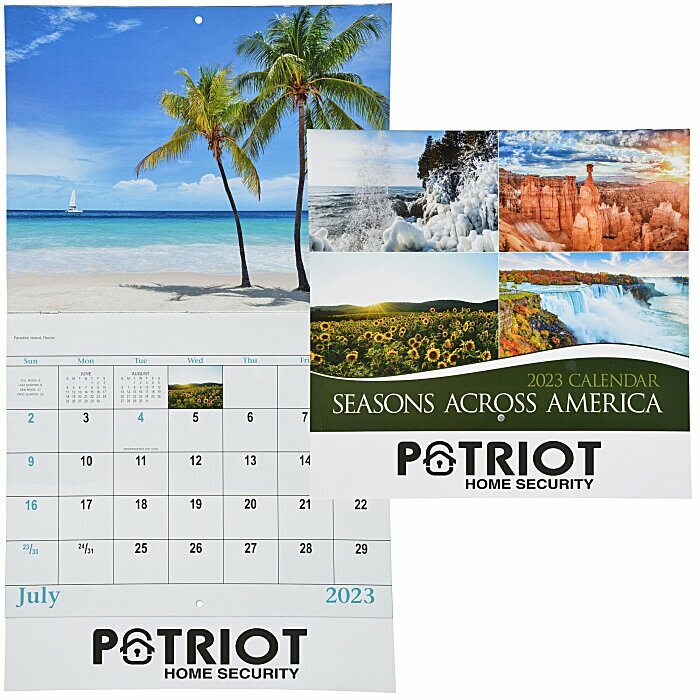 The universal appeal makes this calendar the perfect promotional tool for any company!